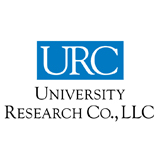 University Research Co., LLC (URC) is a global company dedicated to improving the quality of health care, social services, and education worldwide. 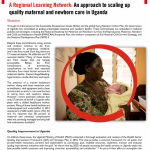 URC brings innovation to health systems by empowering health workers and the communities they serve to find and scale up locally appropriate solutions to critical problems. Since 1965, URC has worked to improve the quality and impact of health and population programs in the United States and over 60 countries. Currently, we are working in over 30 countries to expand access to and improve the quality of maternal, newborn and child health, address infectious diseases including HIV/AIDS, TB, and malaria; and improve reproductive health and family planning services. URC-CHS works in partnership with agencies and organizations with an international presence such as the US Agency for International Development, the Centers for Disease Control, the Global Fund to Fight AIDS, Tuberculosis and Malaria; and the Bill & Melinda Gates Foundation. 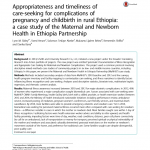 In the area of newborn health, URC is applying modern improvement methods to integrate and scale up essential newborn care as part of the maternal-newborn continuum of care and improve the prevention and case management of newborn complications in Mali, Niger, Senegal, Uganda, Afghanistan, Ecuador, El Salvador, Guatemala, Honduras, Nicaragua, Cambodia and Russia.